Funds can be a bit tight for many of us after the holidays, but what about our local homeless families and individuals? How can they secure housing in a city with such high costs? 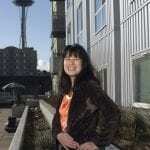 KBCS’s Jim Cantu spoke with Sharon Lee, Executive Director of Seattle’s Low Income Housing Institute, to find out what’s being done to provide affordable housing in our area.